Boot camp has always been seen as ‘military style’ training but these perceptions are starting to fade rapidly as boot camps are evolving into the most fun and safest training solutions out there, especially amongst women. Because of this evolution of boot camp workouts, they are quickly becoming massively popular. They provide you with a fun, engaged, full body workout in a short amount of time, therefore, providing you with an excellent return as we’ll discuss below. Just what is a boot camp workout? Boot camp workouts can vary but generally include a mix of strength training, mobility training, functional training, running, HIIT, boxing, and the occasional fun games here and there. This all inclusive training package has multiple great benefits to it and therefore puts this type of workout in high demand. A well-structured boot camp workout can help you meet the recommendations for physical activity in healthy adults. The Department of Health and Human Services recommends that healthy adults include aerobic exercise and strength training in their fitness plans therefore a boot camp workout is the perfect solution. What are the benefits of a boot camp workout? Require little or no special equipment and offer planned workouts. Boot camp with a bump? Clear it with your doctor first. Pregnancy is a great time to start experiencing the functionality your body has to offer but if you are older than age 40, haven’t exercised for some time or have certain health conditions, it’s a good idea to check with your doctor before starting a boot camp class or any new exercise program. Always inform the trainer about your pregnancy so that they can guide you through the workout effectively by applying the necessary modifications. Keep your heart rate at moderate levels and never be gasping for air during a workout. (Towards the end of your pregnancy) Be careful not to overstretch or extend your body past its normal range of motion to reduce or else you may end up with muscle and ligament strains. Daily exercise boosts your energy levels, which can be lower than usual during pregnancy. You can be an active and happy mom with the help of exercise. Good sleep is vital for any mother. Exercising for only 30-45 minutes per day can help you sleep better while you’re pregnant. Reduce stress and awaken more feel-good hormones with regular exercise. Regular exercise helps improve your self-image, which can suffer when you start to gain weight. It is also believed that regular exercise helps boost your child’s brain functioning. Planks. They provide a safe way to strengthen your deep core muscles during pregnancy. These muscles support your low back and reduce low back pain as your baby grows and your center of gravity shifts forward. 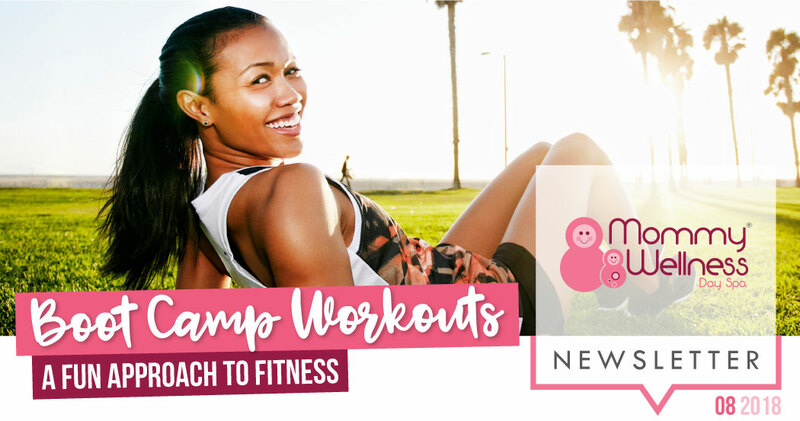 Planks, elevated bridge work, side lying ab work, and seated breathing exercises are all great for pregnant women and may be incorporated into your boot camp workout.